Chandigarh which is at about 365 meters above the sea level is surrounded by three states i.e. Punjab, Haryana, and Himachal Pradesh. It is situated in the foothills of the Shivalik Hills. Lahore was the capital of Punjab before India's partition. But after the partition when Lahore went under the country of Pakistan, people started migrating towards the east. This is when it led to the creation of a new capital, namely Chandigarh for Punjab on the foothills of Shivalik range. The name of the city is derived from Goddess of power known as Shri Chandika.It is considered to be an ancient site and has a major religious significance for Hindus. History says that Chandigarh is the first planned city of India. This is more of a commercial festival which takes towards the end of February. The festival is highlighted with dance and music competition, flower shows, exhibitions and lot of amusements for children. In the whole of India this festival is celebrated only in Chandigarh during which poets from all over the country gather here. This is the celebration of the festival of harvest on the first day of the New Year. The city celebrates the festival with great excitement for it is also the day of foundation of Khalsa. 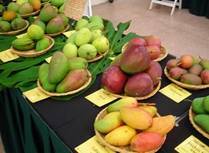 This is a festival for the mango cultivars, where they gather from different parts of the country and exhibit their variety of the fruit. This is also accompanied by agro-industries and food industries as a part of commercial factor. This is celebrated in the month of June. This is a festival of women happening in the rock garden where they enjoy the day with songs and dances. On the eve of the festival they apply mehandi and go for bangle shopping. It generally occurs early in August. During this show varieties of chrysanthemum by different gardeners are on display in the Terraces Flower Garden in the month of December. At the end of the show the best one is rewarded. The carnival is a time during which irrespective of age the children and old people can exhibit their talents. You can witness colourful procession taking place during this carnival. This ususally falls in the month of November. Chandi Devi Temple - This temple Chandi Mandir devoted to Mata Chandi is at about 15 km from Chandigarh.The city got its name after this temple. Jayanti Devi Temple - This temple situated at the bank of Jayanti river is about 13 km from Chandigarh Bus Stand. Temple is dedicated to the goddess Jayanti Devi. Shiv Temple - This temple about 20 km from Chandigarh, has special poojas held on Shivratri.It is temple for Lord Shiva. Mansa devi Temple- This temple dedicated to goddess Mansa Devi, is about 15 km from Chandigarh bus stand. Tourists never fail to visit this temple to get the blessings of Mansa Devi. Gurudrwara Nada Sahib - Guru Gobind Singh, while returning after his victory on Mughal stayed in a place called Nada.It is here where he met one of his followers named Nadu Shah, who served his Guruji the best. Appreciating his service Guru Gobind Singh named this place as Nada Sahib. It is believed that people come here and pray to get their wishes fulfilled. Gurudwara Dukhniwaran Sahib - This place is supposed to be a very holy for it is blessed by Guru Teg Bahadur Ji.It is said that all kinds of diseases can be cured by having a dip in this holy place. Jama Masjid - The location of this mosque is in sector 20 of Chandigarh and Muslims mainly gather here to offer prayers. This complex was designed by Le Corbusier, which is the seat of the governments of Punjab and Haryana. It includes the Secretariat, the High Court and the Legislative Assembly. Of all the three the High Court was the first monuments to be built in the Capitol complex. 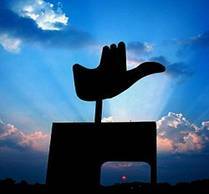 The “Open Hand” emblem of Chandigarh was again designed by Le Corbusier was fully made of metal, coated with baked enamel in orange, green and white and rises to upto 85 feet above the ground level. This open hand emblem signifies peace of the people meaning to tell “open to give, open to receive. The Martyr's Memorial of a square was constructed as a token of tribute to the martyrs of the Punjab partition. It is situated adjacent to the Assembly building. This museum is an exhibit of great work of art. The museum has a collection of both historical and modern pieces of sculpture and painting. There are also items of stucco and terra cotta metal, ivory, lacquer, ceramic, enamel and fabric which date back to history. It is located in Sector 10.This museum is attached with a library with a wide range of collections of book and journals. This is more of an amusement area for the children where the museum has a wide range of collections of dolls and puppets from different parts of the world. 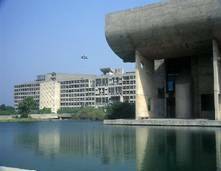 It is one of the best museums of the world and is located in the 23rd sector of Chandigarh. 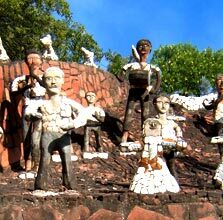 Rock Garden in the forest area with its special features is of major tourist attraction. This garden is not of real flowers or plants but objects are made of raw cement decorated with broken but colourful odds and ends of China clay. This garden is located in sector 10 and it is full of bougainvillea varieties where also annual Bougainvillea Show is held. It is spread in an area of about 20 acres. It is not closed for weekends. This garden located between the Rose Garden and the Cricket Stadium is known for its noise free atmosphere.Shanti Kunj garden is housed with medicinal plants that are utilized to cure several diseases. Leisure Valley runs through the entire length of the city, 8 kms long, about 400 metres broad at its widest points, oriented north-east to south-west following the course of an existing seasonal stream. Sukhna Lake is on the northern side of Chandigarh and spreads over an area of about 3 square kilometers. This man made lake was mainly built to make the visitors enjoy the beauty of nature in peace and silence”. During the month of December rare birds from different parts of the world come here. This beautiful garden full of trees is between Rock Garden and Sukhna Lake where trees are planted for the departed souls.In this garden the first banyan tree was planted in remembrance of our first prime minister, Pt. Jawahar Lal Nehru. 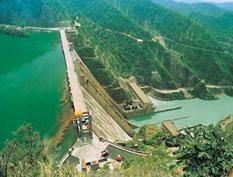 Chandigarh is very populous for its Bhakra Nangal dam which is the world's highest straight gravity dam. This dam is constructed across the River Stale and it is at distance of about 116 kms from Chandigarh. This led to the creation of Gobind Sagar, a 40 sq km reservoir. Some of the attractions of the tourist visiting this place are the underground tunnel and boating. 1.City Centre,Sector 17 - handicrafts and handloom products,traditional tip-turned-up jutis, colorful Punjabi dupattas and yummy jams and juices. The airport in Chandigarh s very close to the City centre at a distance of about 11kms.It has a very good network of airlines connecting major cities of the country like Mumbai , Delhi, Jammu, and Amritsar .It has daily flight services to Delhi. Chandigarh is connected by rail to many cities in Punjab, Haryana and also to Delhi. Train availability to Delhi is very frequent from where you can get connection trains to other parts of the country like Mumbai, Chennai, Bangalore and Trivandrum.Daily trains are available from Chandigarh to Lucknow. The Union Territory of Chandigarh is well served by an excellent network of roads. National Highways 21 and 22 is the chief road linking Chandigarh with the rest of the country. There are several buses that link Chandigarh with other neighboring cities. Buses are of different kinds: air-conditioned, deluxe, semi-deluxe or ordinary.